**I have changed some of the facts about USB Pen Drive, like from where I bought and related to its manufacturing company. Few months ago I bought a supposedly 8GB USB drive pretty cheaply from a person. Luckily for me a user messaged me with their suspicions that the seller was selling hacked drives. For those who don’t know what hacked drives are, they have basically had the firmware edited to report a higher capacity than the actual chip on board. Anything you try to write to the chip above the actual capacity will then show up as corrupted data. I couldn’t find a guide that worked for me so I thought I’d make one here to help anyone else that finds themselves in the same position, so that you don’t have to spend ages signing up and trawling a forum in Chinese and other places ! Firstly, UdTools doesn’t seem to work in vista or at least not the 64bit version I’m running. So do this on a xp or Vista 32bit machine and save yourself hours of time. First things first, test the drive with this tool H2testw 1.4. CLick on english (unless you understand german), click select target then choose your USB drive and then write and verify. The test will run giving you time to make a nice cup of tea. The results from my test was as follows, confirming that my drive was actually 2GB not 8. Next step is to find out which controller chip is used using chipgenius (translate it with Google Translate to English) You can also download it from Here if the link works! Make sure your usb device is selected and the take note of the VID, PID, vendor and part number. 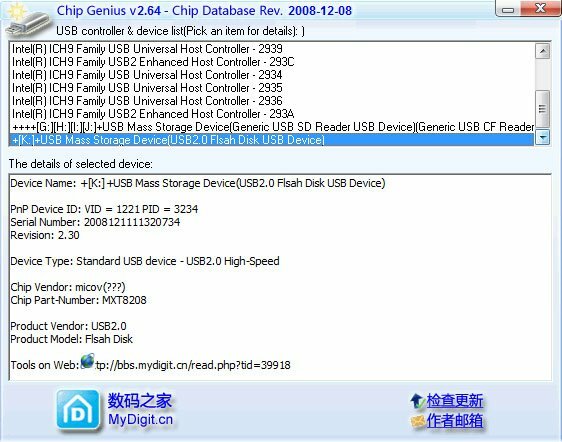 These will help you to search for the correct tool to use on the iFlash database with some luck someone will have the relevant info for your drive already listed and the software available for download. If not, some google searching should get you what you need. I chose the drive that I got because it looked easy to crack open, so I did. (This step is probably not needed, so dont worry if you dont want to crack open your drive). Controller chip is MW6208E and the NAND memory chip is FBNL52AHGK3WG. Some searching around suggested that this was the same as MT29F16G08MAA which confirms the H2testw scan that this is a 2GB chip. There was no program listed for my VID and PID on iFlash but it seemed that other people with micov controllers used UdTools. The guides I found all used MPTools, which I couldnt get to work even in xp. The next steps are actually very simple but I wasted hours signing up to a chinese forum and downloading around 10 different versions of Udtools before realising vista might have been the problem. I moved over to the vista 32bit machine and used UdTools1.0.4.5_2008.09.10which detected my drive right away. The drive will show up somewhere on the list depending on the arrangement of your USB drives. Click on the number next to it to start re-flashing the drive to the correct size. After retesting with H2testw everything is back to how it should be. I hope this guide helps someone out there, if you have any questions or the links are broken, leave a message and I’ll try my best to help. actual space would be known after writing…..? @Lasit yes, of course real space would be known after tweaking.. Thanks a lot it really works…..thanks again….. Awesome tweak! People never buy any Chinese item, they are very fake. Nice information, I have a 8gb kingston usb flash drive, I will try as what you said. Adorei o site, muito bom, vou voltar sempre! 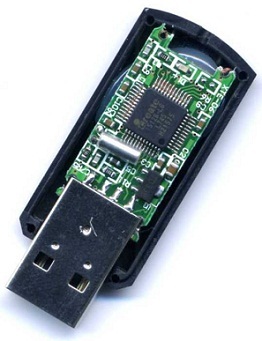 PENDRIVE FROM CHINA: ALWAYS FAKE! Bought mine cheap from a Chinese guy. Never buy any cpu gadgets from chinese. it’s as fake as them and their chinky face. i bought i 64gb hp exfat thumb from china, cheap. the write speed i slow, but it shows as genuine 64gb. i most have been lucky then. The H2testw took extremely long to finished. The results are not clear cut. 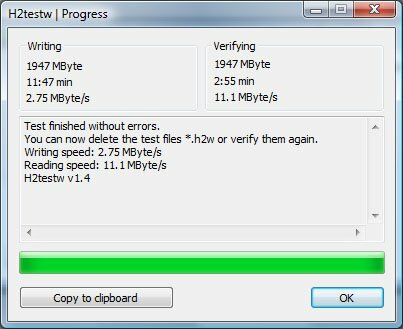 Out of the different sized cheap Kingston usb sticks I purchased in Malaysia, two out of my 9 usb flash sticks had less than half capacity and the rest corrupted according to H2testw. This left me thinking not all cheap usb flash sticks are no good then! Hi there, You’ve got done a fantastic job and research work on Pen Drives! Much better pen drive now I have more real space.